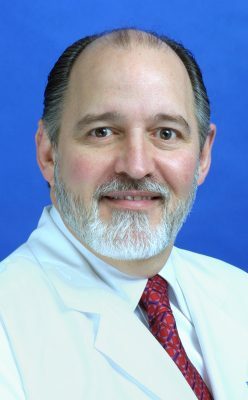 Dr. Sergio Gonzalez-Arias, chief of neurological surgery at Baptist Hospital and chair of the Department of Neuroscience at FIU’s Herbert Wertheim College of Medicine, will join the College of Medicine’s executive team as executive associate dean for clinical affairs. Gonzalez-Arias, who will begin his new position with the Herbert Wertheim College of Medicine in January 2017, will oversee all clinical functions at the College of Medicine, including the students’ clinical experience; all strategic partnerships with hospitals and other clinical sites where students perform their clinical rotations; and development of Graduate Medical Education. “We have been fortunate to work with Dr. Gonzalez-Arias as a key member of our faculty since 2010. Now he brings to his new position a wealth of clinical experience that will add to the development of clinical programs to the College of Medicine,” said Dr. John A. Rock, founding dean of the Herbert Wertheim College of Medicine and FIU senior vice president for health affairs. Wayne Brackin, executive vice president and chief operating officer for Baptist Health South Florida, said Gonzalez-Arias has made important contributions to the field of neuroscience. Gonzalez-Arias is the founding and current medical director of Baptist Health Neuroscience Center. He has served as chief of Baptist Hospital’s Department of Surgery and is a past president of the medical staff. He is a fellow of the American Association of Neurological Surgeons and the American College of Surgeons. He served as chair of the international committee of the Joint Council of State Neurosurgical Societies and is a past president of the Florida Neurological Society. Dr. Gonzalez-Arias is a graduate of the University of Zaragoza (Spain) and completed his residencies at Rush-Presbyterian St. Luke’s Medical Center and the University of Miami/Jackson Memorial Hospital.